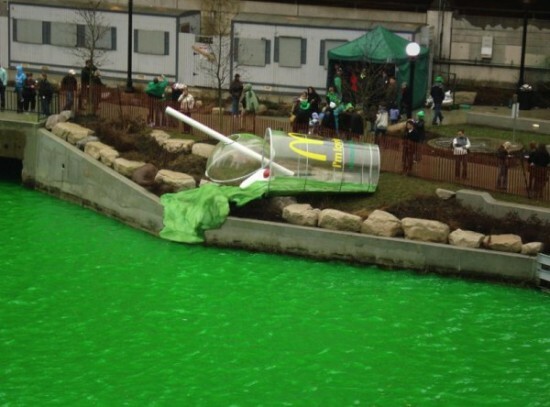 To celebrate St Patrick and put forward its Shamrock Shake, McDonald’s enjoys a tradition of 50 years. Every year, the Chicago River and the Calumet River are adorned with a green Irish, incidentally us a very strange but is explained by an anecdote. 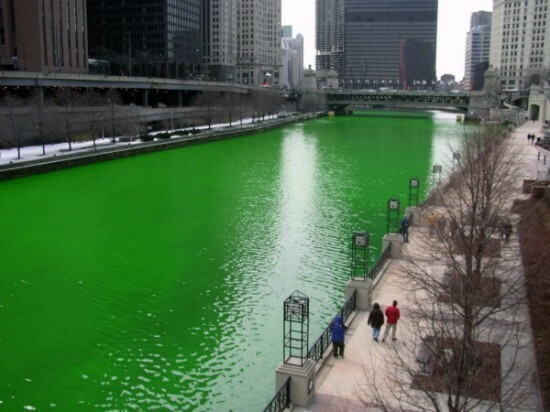 To verify that there have leaks, the plumbers of the city of Chicago inject painting biodegradable in both rivers, they quickly realized that this was the same color green as the famous Irish green. March 17 is therefore quite naturally become the day of audit.